On a blustery Memorial Day Geraldo comes across NYPD divers at the Liberty Park Marina where they were investigating a tragic parachuting accident on the Hudson River. Navy Seal Remington Peters fell to his death during a Memorial Day demonstration with his Leap Frog skydiving team. RIP Remington Peters and all Veterans who made the ultimate sacrifice for our country. What about the embarrassing DUI arrest of Golfing Legend Tiger Woods. No alcohol was detected but his car was heavily damaged and police say he was confused and unsteady during sobriety test. The Puerto Rican Day parade is mired in controversy over the selection of former FALN terrorist Oscar Lopez Rivera. Upon serving 35 years for the fatal bombing of Frances Tavern, outgoing President Obama pardoned Rivera. Major donors dropped out of the parade when he was selected Grand Marshal by local politicians. 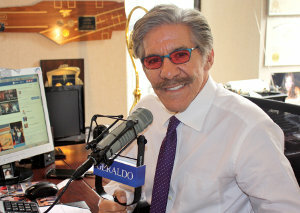 Geraldo also talks Trump and Hannity.